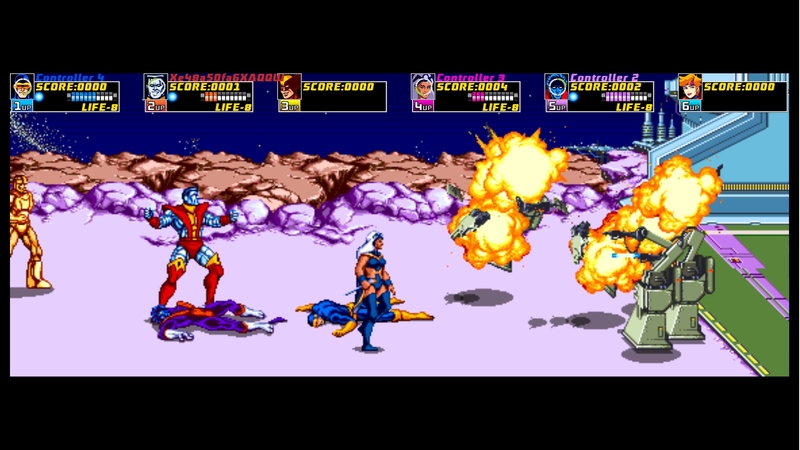 X-Men is an arcade game produced by Konami in 1992. It is a side-scrolling beat 'em up based on the characters of the same name under license from Marvel Comics. The animation of the X-Men and the supervillains is based on the 1989 X-Men pilot episode titled X-Men: Pryde of the X-Men. On October 9, 2010 Konami revealed that the game would be coming to PlayStation Network and Xbox Live Arcade. No release date has been set. The old school '92 classic beat 'em up has returned. 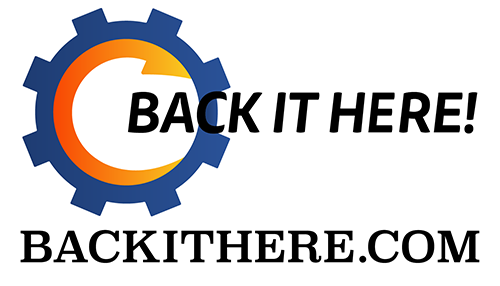 Is it worth your money? Find out in the Gouki.com Review. Welcome to Die! If I could describe the X-men Arcade game in one word it would be Disappointment. Why you ask? Well I'll tell you why. I fondly remember going to the Arcade in San Diego California as a kid. Playing all sorts of games, blowing my hard earned money on good games, bad games, broken games (still pissed about those) and the best arcade games around. Back in the early '90s the top arcade games for me where the Beat 'Em Ups. The Simpsons Game, Teenage Mutant Ninja Turtles, and who could forget the X-men Arcade game. Many of us had the 4-player cabinets in our local arcades, but some of us where lucky enough to have 6-player action at our fingertips... and just for a quarter (I miss those days). 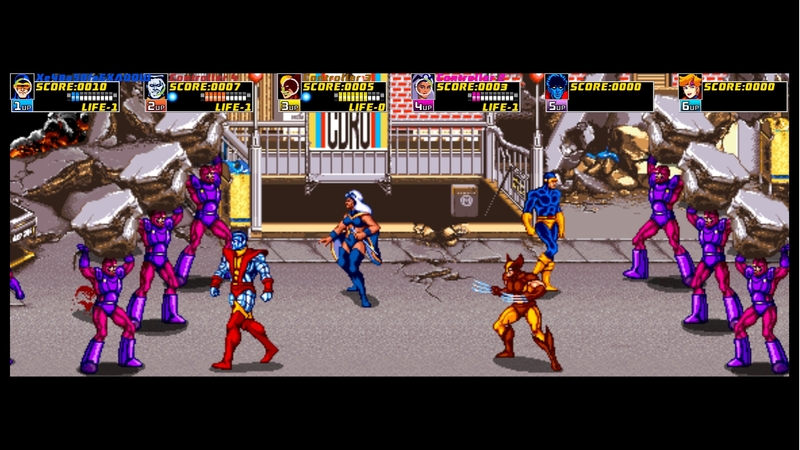 I would spend hours beyond hours every week playing the X-men Arcade game. Meeting new people every time and having a blast. So I was stoked to find out that Konami was bringing this childhood classic back. At 800 MSP or $10 PSN I was sold. I bought this baby yesterday and to my surprise I was severely disappointed. The game is exactly as I remember it, which is the problem. After 18 years I was expecting Konami to release an updated version, not just a smoothing filter. I wanted to have a remade X-men Arcade with updated sounds, graphics, and gameplay. Now I am not the person who hates the classics, or thinks they aren’t fun. My problem is that they could have had two games in one. 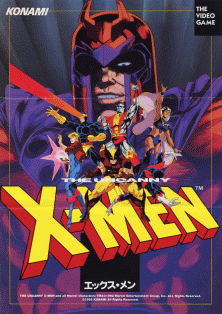 X-men Arcade Classic, and a revamped version as well. You have the choice between two version of X-men Arcade, USA and Japan. The Japanese version is better than the USA version solely because when you use a Mutant Power in the USA version it drains your life meter before using your energy orb. The Japanese version is the other way around. The USA version is much more difficult which would be a great challenge had the game had some sort of continue system. Instead you have unlimited lives, and can basically just spam Mutant Powers the entire time. Sure they take away your life energy, but who cares you can’t lose. Even online play has infinite continues. There is no way to change it either. So basically unless you’re like me and really want to try and relive the classic, you’ll try not to spam Mutant Powers. My first play through was solo, and I beat it in 30 minutes. I spent $10 only to be jerked around for 30 minutes. This game welcomed me to die alright; I wanted to end my life and the game after playing it. The character selection is how you remember it, you can choose from; Cyclops, Storm, Wolverine, Colossus, Night Crawler, and The Dazzler (yes she is a real X-men) each character has his/her own Mutant Power. Cyclops shoots laser beams from his eyes, Storm strikes her enemies with lightning, Wolverine slashes his claws at his enemies (lamest Mutant Power), Colossus goes into rage and destroys enemies surrounding him, Night Crawler teleports across the screen and destroys anyone in his path, and The Dazzler who uses sound frequencies to destroy her enemies. For the most part of the game you are fighting your way through sentinel after sentinel with a few other enemies here and there. There are also eight boss characters, Pyro, Blob, Wendigo, Nimrod, The White Queen, Juggernaut, Mystique and of course Magneto. Each boss is basically a push over save Magneto. As one falls after another you move onto a new level. The story of this game is basically Magneto threatens the city with his army of sentinels and Kidnaps Professor X and Kitty Pryde. It’s up to the X-men to Go and Save the City as well as rescue X and Kitty. It’s a pretty simple game, only using 3 buttons; Attack, Jump, and Mutant Power, which makes for an easy to pick up and play game. Online play is done well, with the option of playing 6-player drop in drop out co-op with relatively no lag. The only issue here is even on expert difficulty, 6 players can run through the game in under 15 minutes. It’s really hard to suggest spending $10 for such a short time of play. The classic 1992 X-Men Arcade by Konami is finally made it's return. Out Now on XBLA and PSN. Go and Save the City! The best part is that it's only 800 MSP or $10 PSN. Lately all the games I really want have been $15 or more. Go and Save the City! Welcom to Die! X-men Arcade Release Date Confirmed! Remember a couple months ago the teaser trailer for X-men Arcade surfaced. Well the release date has been announced. The X-men Arcade game which is the classic Konomi beat em up from the 90's is making it's way to Xbox Live Arcade Dec 15th and PSN Dec 14th! IGN conifrmed it today, so all of those who are waiting and wondering when they will get a chance to have 4 player local multi-player and 6 player online drop in drop out co-op can rest easy. No official word on price yet. Will you be getting this when it drops? Let us know in the comments.